For anyone who knows me, they know that I do not believe in coincidences. I believe that there is a reason and a plan behind the events in our lives. I love nothing more than when you get small moments of affirmation from God that you are on the path of His will. Three years ago when my husband and I decided that we were going to send our son Noah to a private school, we knew that meant I would be attending full time as well to help care for his needs and to be present in case any medical emergencies for him arose. While we considered sending him to public schooling where school nurses are part of the staff, he really wanted to go to the same school as his older brother. Up until that time in his life, Noah had zero control over the things that had happened to him. While it meant that it would be a big commitment on my part to start attending school full time with him, I also realized that this was a big desire of his heart and I just couldn’t say “No”. As his mother, I thought “Who am I to not grant him this request just so I could have some time to myself each day?” After getting approval from the school in accepting Noah to attend, the choice in sending him there was no longer difficult for us. It didn’t take long for God to start answering that prayer. What started out as volunteering my time in helping the second grade teachers that first year, has transformed over the past three years into a regular schedule helping to meet and care for the special needs of several Elementary students. I have been able to use some of the gifts that I already had as well as learning some new skills along the way. This year I have truly felt like a part of the staff and it really makes me feel good. Yesterday, God graced me with another affirmation that I am right where He wants me and I know this moment will stick with me for a very long time. Soon after the morning bell rang, I was sitting next to one of the boys that I assist each week. The teacher informed me that she was going to step outside for a moment to speak with another mother. About a minute later, she called for me to come out into the hallway as well. There stood a crying mother with her 1st grade son by her side. The teacher shared with me that the day before, the son got diagnosed with a life-altering condition and the mother’s heart was breaking. You see this same condition had just been diagnosed on her 4th grade daughter a month prior, so this was just hitting them very hard and leaving her overwhelmed. The mother was rightly concerned for her child and more so – how was she going to leave him at school without a trained person to care for him. The teacher, knowing I had a nursing background, wondered if I could help in anyway. Knowing much about this condition – having grown up with a father with it and becoming knowledgeable in that way but also studying and caring for multiple individuals throughout my nursing career – I said “Of course” and I took the mother and her son to my desk in another room. It was in that exact moment that I knew once again that God has me here for a reason more so than just caring for my own son. With tears now flooding both of our eyes, the mother and I held hands and she prayed a prayer of thanksgiving and I was echoing the words from inside my own heart. From my experience of being a mother of children with medical and special needs, my heart and mind knew exactly what this mother was thinking and feeling. In response, I was able to have true compassion and empathy for her. I reassured her that I would care for her son as if he was my own at school. Sometimes, we are the ones who need to be comforted, and other times, we are the ones who are able to comfort others. I just want to take a moment to encourage you today if you are wondering what you need to do to follow God’s will. I can confidently share that all you need to do is surrender yourself to Him, be obedient to his Word, and then just go on and live your everyday life. 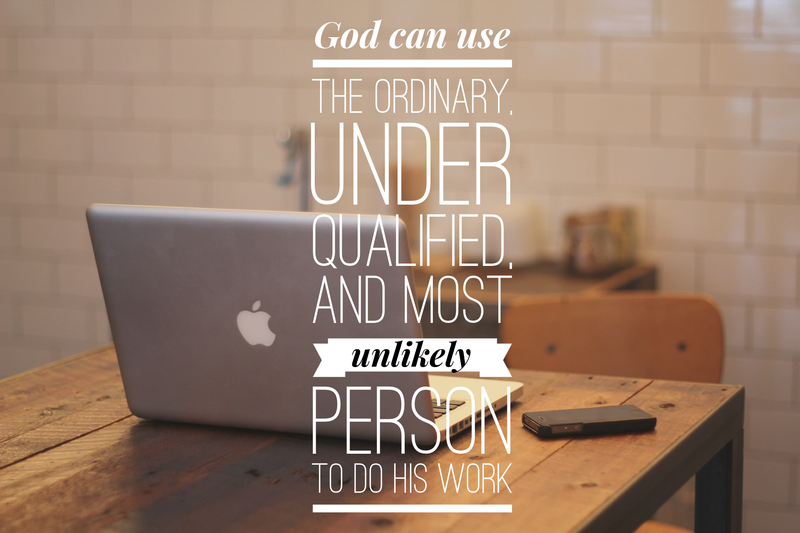 It doesn’t matter what job you have – being in a workplace outside the home or spending your days at home caring for the children God entrusted to you – just go about it in obedience and you will be fulfilling His will for your life. I think that often times, God will reveal His will in small pieces at a time – with each loving step of faith that we take – and by continuing to love and trust Him all the while. When those moments of affirmation come you will be filled with the greatest amount of joy and peace that only comes from Him. And between each small revelation, all we need to do is to continue to do the best that we can each and every day with the tasks laid out before us. Friend, go forth today in carrying out your regular tasks, being confident that you are equipped with everything you need to do good in accordance with His will! The morning was going pretty well until about 10 minutes before we had to leave for school. You see, my 6th grader was taking his time with his shower and getting ready for the morning. Ten minutes before we had to leave, he still had not come down to eat his breakfast, so when I yelled up the steps to tell him he had to hurry it up, I realized he was in his room playing. Ugh…that started to make me upset. When he came down, he walked into the kitchen, suddenly stopped in his tracks, put his finger over his lips and said, “Ummm, I will be right back.” He ran upstairs and a minute later came back down. He went and grabbed the Bible, sat down, and started to frantically go through it. It took me like 3 seconds to realize that he obviously forgot to do something. He was supposed to give a devotional presentation during his 1st period Bible class and forgot to prepare anything. We had 8 minutes left now before we had to leave for school and I still was not completely ready nor had he eaten his breakfast. When I asked him what he was going to do, he tells me that his idea was to take some Legos and use them as a demonstration on how to build each other up. Good idea, but he had NOTHING prepared and was aimlessly searching through the Bible. Instantly, I got really upset. I said some things that were not good, angrily grabbed a piece of paper and pen, told him to start eating, and whipped out a few Bible verses on building each other up and ways that we can do that. I stuck those notes in the front of his Bible, closed the cover way to hard, and ran upstairs to finish getting ready. He inhaled about half of his breakfast and then ran to brush his teeth. By this time, we were running late and as we left home, the tone of my voice was still harsh and my blood was boiling. As we started driving, I told him he better take a look at my notes and get a plan in place. In a bitter tone, I gave him an idea of how he can pull this off and unlike me; he stays very quiet and calm through it all. I got mad at the lady driving in front of us for going too slow and not taking off the second the left arrow on the traffic light turns green. When Noah asked me to turn the radio up, I snapped and told him “No.” He didn’t say another word the rest of the way. We pull up to school at the last second and Ethan jumped out. Needless to say, as I sat and reflected on the morning, guilt filled me up. For one, I should have just stayed calm and had reality be the discipline and let Ethan go into the class completely unprepared. I am a firm believer that there are great lessons to be learned with reality discipline, but sometimes I step in and help when I shouldn’t. However, it didn’t take me long to realize that in trying to help my son develop a devotional on building each other up, I was doing the complete opposite to him at that moment. I was verbally tearing him down. As he jumped out of the van needing to speak a few minutes later about how to encourage and uplift one another, I had just crushed and deflated his spirit. Not a good mother moment. It’s regretfully embarrassing. This week holds some things that have been making me feel a bit stressed and on the edge and I guess his irresponsibility pushed me over. Honestly, I am a very patient and loving person and actually feel that those are some of my gifts. Maybe this is just a pitiful attempt to try to convince you that I am a good mom, but truthfully, my behavior yesterday morning was out of character for me. Clearly however, I am far from perfect. In wishing I would of just let Ethan suffer the natural consequences of not being prepared, I quickly realized that the Lord was having me search the Bible in those frantic minutes not for him – but for a reminder of myself. As a result, it is what I spent the rest of the day thinking about. Later in the afternoon, after we were all home from school, I took a moment to sit Ethan down and talk about the morning. In a loving and calm voice this time, I asked him how the presentation went, and he said, “Actually, very well.” I told him I was happy it went well and we proceeded to talk about the lessons we both learned. He admitted his fault and I admitted mine. Apologies were exchanged and at the end of the conversation, we both walked away with raised spirits. Before we ended our conversation he shared with me what he said and did during the presentation and I want to share that with you. While he used some of the Bible verses I found for him, the demonstration part was completely his idea. He explained to me that he took a bigger Lego piece and used that as the foundation, representing love. 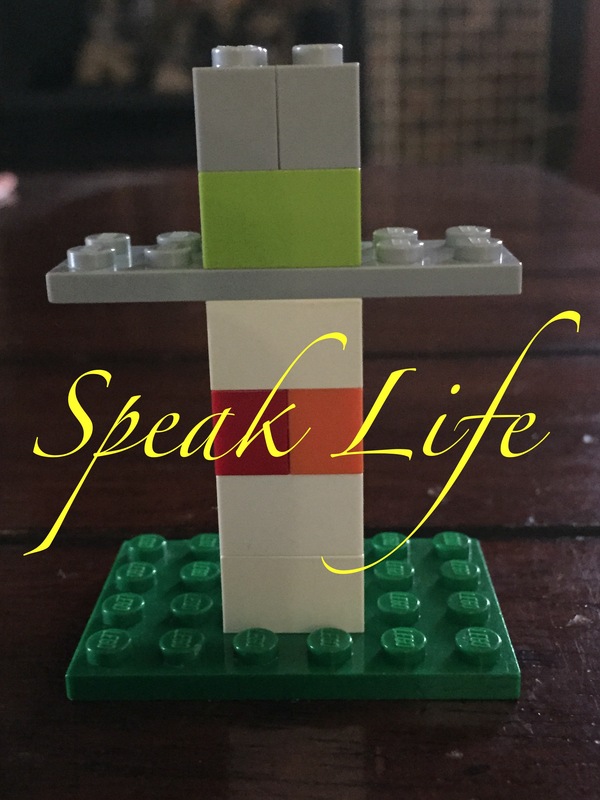 While speaking of ways that we can build each other up – showing respect, kindness, praising others while staying humble, refraining from speaking gossip or spreading rumors, being sensitive to other people’s needs, praying for each other, being understanding and quick to forgive – he used a Lego piece for each example and built a cross with them. He explained that using words in love is how the Bible teaches to encourage each other and when we do that; we represent Jesus. Then, in a quick instant, he took that cross of Lego’s, threw it to the ground and it smashed all over the floor. He said that is what it is like when we use our words to tear people down; no longer representing Jesus. I think Ethan’s demonstration pretty much sums it up. Just like I needed to do with my son, if you need to take a moment to apologize for the misuse of your words, the tone of your voice, or in giving the silent treatment to another individual (that speaks just as loud and is just as damaging) – then go and do that. Relationships can be mended instead of ripped apart. It doesn’t matter who you are – Christian or non-Christian, the color of your skin, or what age you are – we ALL need and desire for someone to take a moment and speak love and life to us. Friends, let’s go and look for someone to build up in loving encouragement. People are hungry for it and we do not do it enough. Were you there when they yelled, “Crucify him”? Were you there when they beat him with whips, tearing flesh away from his body with each striking blow? Were you there when they stripped him, put a scarlet robe on his body and a staff in his hand? Were you there when they pushed down a crown of thorns on his head? Were you there the day they spit on him, mocked with their mouths and hatred in their hearts? Were you there when they took that staff out of his hand and beat him over and over again on the head; pushing that crown of thorns even deeper into his skull? Were you there when they took that robe off of him and put his own clothes back on? Were you there when they led him to “The Place of the Skull”? 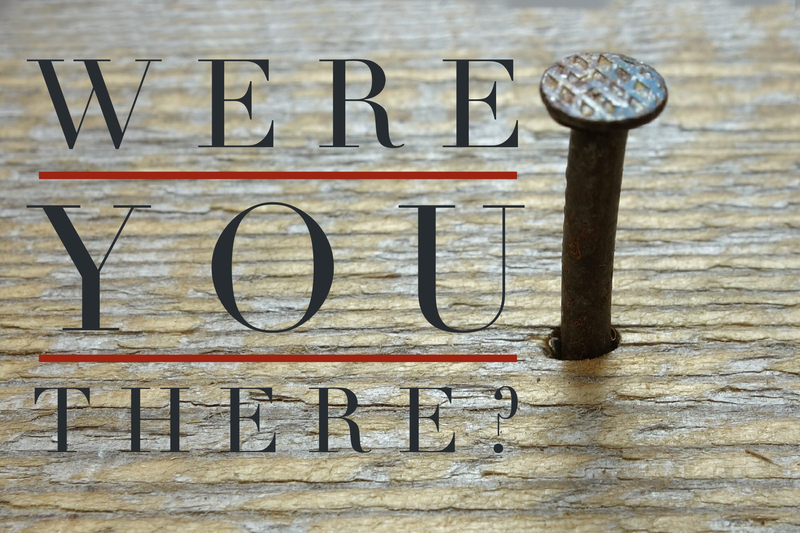 Were you there when they nailed his hands and feet to the cross? Were you there when they stripped him naked, and then sat at the foot of the cross casting lots for those bloody strips of linen? I was there. So were you. While hanging on the cross, Jesus said, “Father, forgive them, for they do not know what they are doing.” You see, the FIRST words out of Jesus mouth after he got nailed to the cross was “Father, forgive them…” He had just been beaten beyond recognition and hung on a cross, and he prayed to His Father, not for himself, but for the ones who were killing him and for us as well. I was there because He was thinking about me while He was praying that prayer. 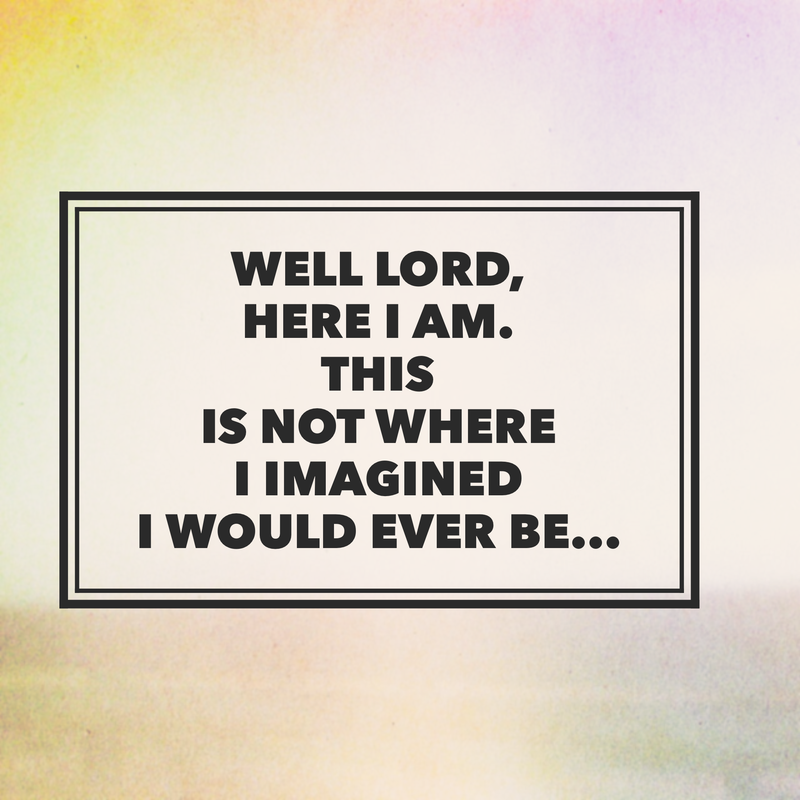 I was there because every sinful moment of my life was present that day. While He was hanging by his own body weight with nails through his flesh, He took the weight of all of my sins upon him as well. Yours too. Every hateful, deceiving, or envious thought; every lustful eye; every unkind and angry words to murder a spirit, or because of pride – words held silent when they should have been spoken; every misuse of the Lords name; every false testimony against our neighbor; every disrespectful and rebellious act; every blow with the fists and strikes with the heels; every gluttonous indulgence; every workaholic or slothful beings; every lack of faith, hope, love, trust, belief; every idol served – especially the idol of self – EVERY SINGLE act of SIN…He died for. He took the weight of all if it while hanging on the cross. I’ve watched on the National Geographic Channel regarding certain tribes and cultures with whom men volunteer themselves to experience crucifixion, not to the death, but in the act of being nailed to a cross. They hang there for mere minutes, until they cannot handle it anymore, to which they are then brought down. They do this in an attempt to draw themselves closer to Jesus and are left with nail holes in their hands. Many times, movies and shows have tried to recreate that day at the Place of the Skull where Jesus hung. Honestly, I can barely watch some of them due to the graphic nature, yet I know that these re-creations don’t even come close to what the reality was. I believe the real act is more than what we would be able to bear to see. He came to earth so that He could be a human sacrifice for us. In a recent sermon, my Pastor quoted a person who stated something like this: “He was murdered a perfect man, yet while hanging on the cross became the worst of sinners…taking all our sins upon himself.” It was this act of love, a sacrifice of himself that our sins can be forgiven. 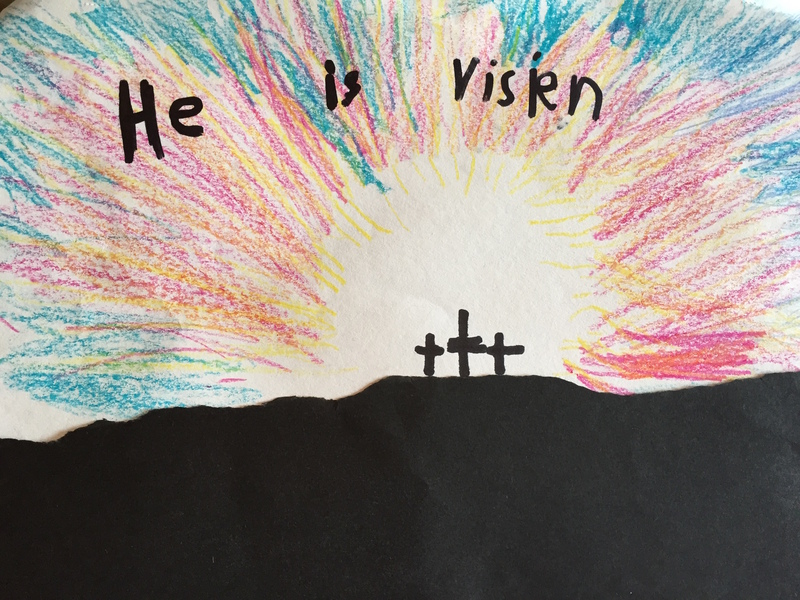 If we are honest, how many times have we been to a Good Friday service and went through the motions without truly being present in our thoughts and hearts of what Jesus did? How many times did you partake of a Communion and your mind was thinking about something else? Could it be that this story is just so familiar, too comfortable within us, that we find ourselves going through the motions with no feelings attached? What a tragedy! I can’t help but wonder if this could be one of the greatest tragedies of all. Lord, forgive us! Here is the good news. Friday afternoon’s darkness leads to Sunday morning’s light. Even non-church going humans come to church on Easter to celebrate what comes next. Sin and death is not the end of the story. Sunday, there will be a gathering together to celebrate the promise and fulfillment of His Resurrection – so that all those who believe and place their trust in Him – the one who died and rose again – may experience ETERNAL life. Hope is not dead. “We have this hope as an anchor for the soul, firm and secure.” Hebrews 7:19 Hope goes way beyond the dirt we are buried in and the stone that marks our earthly existence. No matter your past or the storm of life that you are currently experiencing, you have an anchor to hang on to that is firm and secure. There is no wave of sin, guilt, or grief strong enough to displace that. I am sure there will be lots of bloggers writing about these events in their own creative way over the next few days. This post will be just one of them. There will be many podcasts telling stories relating to this Holy Week. There will be many Pastors preaching the Good News this weekend. While all this is good, it doesn’t matter how many blogs you read, podcasts or preachers you hear if there is no internal response. As we go into this weekend – remembering the sacrifice of the Lamb and then rejoicing in His resurrected life – let us not just go through the motions! Let’s be fully present in mind, heart, and spirit and humble ourselves before the Lord. We don’t even need to nail our hands to a cross in order to do so. What we need to do is to find a quiet spot to be alone, and have a moment before the Lord repenting, believing and having true faith in what He has done. We, our sins, were present the day He died and we need to respond by surrendering our all today. We are forgiven! Let’s praise Him for what He accomplished! God is NOT DEAD. He is SURELY ALIVE! It was the dead of winter with the wind fiercely blowing the freezing cold air around. I ran upstairs to my bedroom, opened the window, and let the air hit my face while I slowly breathed it in. As much as I dislike the winter and the cold, it was the first time in a couple weeks that I sucked in fresh air and I was desperate for it. You see, for the first several years after Noah was born, due to his prematurity and his fragile medical condition, we lived in isolation with him. The only time we took him out of the house was for doctor appointments. Randy was working l-o-n-g hours, early in the morning to late at night, trying to get his medical practice established, so that meant I was at home. Alone with the kids. In isolation. Being a lover of social interaction, I now felt trapped inside of my own home. I went from working 80% time in a hospital setting caring for others, getting paid and getting thanked, to finding myself alone with a medically fragile son and no adult to talk to. I knew that Randy was working hard caring for sick people all day, listening to their complaints and trying to make things better for them. I knew he was extremely stressed at work getting his practice established. Then, exhausted, he would have to come home to us, another situation of complaints and sickness. I knew that his job was hard, and I was proud of him, yet I found myself jealous because HE COULD LEAVE. He could leave the house, speak with other peers, and get out each day. I felt so stuck. It was completely against my outgoing personality to be alone for so long. I actually looked forward to taking Noah to the doctors’ office because it allowed us to get out and I could TALK TO ANOTHER PERSON. Randy and I found ourselves in a never-ending cycle of medical crisis…his at work and mine at home…with no relief in sight. When Noah got his trach placed at 9 months old, he was also on oxygen 24 hours a day. We turned our formal dining room into his “hospital room bedroom”, which is still like that today. Since he was hooked to oxygen, a pulse oximeter, and humidity, we were confined to our main floor. So, when I was home with the boys alone, I was unable to even run upstairs to get something. I could not leave him out of my sight for even 30 seconds. So many times he would plug his trach with secretions and I would have about 30 seconds to do an emergency trach change or suction out the plug before he went unconscious. Before Noah got discharged from the hospital in Minneapolis after receiving his trach, the doctor sat me down. With a very serious tone in his voice and looking at me straight in the eyes, he told me that in no condition what so ever could I let Noah out of my sight. Just prior to that conversation, the doctor had two patients, both babies with trachs who died because one mother went to answer the doorbell and the other mother walked away from her child to answer the phone. Both babies died because their mothers were not there to suction them when they needed it. When a doctor tells you that, you don’t forget it. Countless times, my husband and I found ourselves literally saving his life in a respiratory crisis. The first of those times happened within 30 minutes of coming home after leaving the hospital with his trach. You never knew when you would go from being OK to being in complete crisis mode on any given day. Often, it would happen in the middle of the night and we would go from half way sleeping to performing life saving measures on him in a matter of seconds. Numerous days when he was sick in the early years, he would require suctioning every 5 minutes, and that is ALL I would get done during the day. Essentially saving his life every 5 minutes. Not going to lie. That was hard. My mother would come from time to time so I could leave the house and drive to the grocery store or run other errands. There were times when I would leave and come home; park the van in the garage and the next time I got in it would be a couple weeks later. There were others that came to sit with him from time to time while I was at home. They would be there to watch him and yell for me if he was having difficulty in anyway. Having them there allowed me to at least go upstairs to do some cleaning, or gather a load of laundry. It was during those times when I would find myself at the window, breathing in the freezing cold air…as if trying to perform my own life saving measures from losing my mind. There were others that came to bring us meals, sent us cards, signed Noah’s Caring Bridge site with encouraging and uplifting words, visited us in the hospital, and I appreciated every single thing that was done. Often times, people would ask me what we needed, and to be completely honest, I had no clue. I wasn’t used to asking for help or even knowing what I needed. I just knew that when people stepped up and did a kind act, I was extremely grateful for it. But you know what I found over the years that truly brought me joy? It was when I took a moment to do something for somebody else. Despite what we were going through, when I took time to see someone else in need, to write someone else an encouraging card, to sign someone else’s Caring Bridge guestbook, to visit someone else in the hospital, to bring someone else a meal…I was always left with a feeling of joy. That was a feeling I desperately needed during those hard times and the way I received it was by giving of myself to help others. I also found that it immensely changed my perspective on what our family was dealing with and it prevented me from drowning in my own self-pity. For those of you who find yourself in a situation of overwhelming sorrow – tears that fall easily and freely – and you just cannot imagine ever experiencing joy again, the Bible has many verses that offers promises of renewed joy. One of the places to turn to is Psalm 126. It tells us, “Those who sow in tears will reap with songs of joy.” Even in your trials, if you remain in Christ…being a witness and allowing Him to work through you and your tears…joy will come. You see – joy is different than happiness. Happiness is circumstantial, but joy is a matter of the heart. When we do things for others regardless of what is going on in our own lives, the fruit of that – a gift from the Holy Spirit – is joy. Next time you find yourself needing a little joy, pray to God. 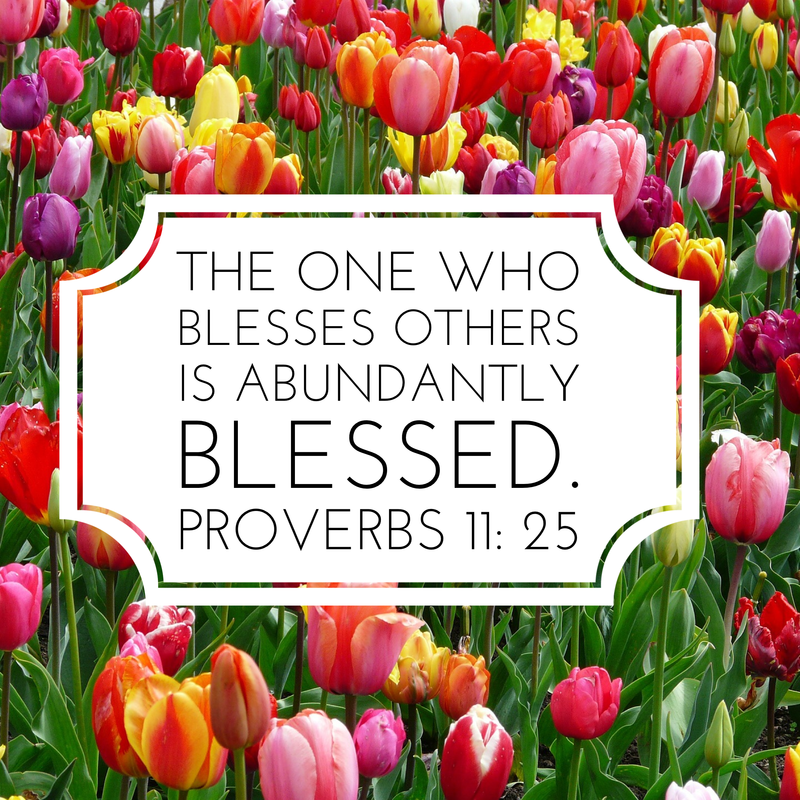 Ask Him to open your eyes to the needs of those around you and then take a moment to give of yourself to bless that person or family. Volunteer at your church, your local homeless shelter or food pantry. It doesn’t have to be much…even the smallest act of kindness will be rewarded if it is done with the right heart-attitude. The person on the receiving end will be truly grateful. You might never know how much of an impact your small act will have had on their life. Your gift in return will be something that only God can provide – true lasting joy. My name is Rachel and I am the daughter of a drug addict. In my early Elementary years, my mother was severely addicted to prescription drugs. In the early 1980’s, being from a small town community, attending a Christian Reformed Church, and Christian School, I discovered that being addicted to drugs is not something that goes over very well. Back then, it wasn’t something that was common or maybe even known about as well as it is today. I fully admit that my memories as a 3rd grader do not fulfill the whole story, and much of this post is from my little girl perspective. However, the things I do remember are as clear as if they happened yesterday. I remember my mother sitting at the kitchen table with her leg moving up and down so fast that you wondered how long she could keep it up…but it never stopped. I remember that she was so skinny, that she had developed fine downy hair covering her whole body trying to keep her warm. I remember that she was very irritable, cried a lot, and there was a lot of stress in the home. I remember the comments the girls at school would come and tell me of things they over heard their parents talking about at their home. Things on how my mom was a bad person. I would then sit in class and wonder if that were true. I knew that at my age, I started to have more responsibilities in the home to pick up the slack that my friends didn’t have to deal with yet. I remember standing in the back of church and seeing little huddles of people standing, talking, and pointing at us with their eyes while doing so. The judgment was so palpable; that as a little girl, it is something I will never forget. My mother lost almost all of her friends during that time. And to not place blame, but I am sure that as a drug addict, she did things that were not appropriate or well received. I know that she did not follow through with certain responsibilities that placed a lot of pressure and stress on others as well. But regardless, most of the church people in her life at that time didn’t know how to deal with it and walked away. Making a wise and brave decision, despite all the pressure from extended family to keep this a secret, my father decided to take my mother away to a treatment facility several hours from home. This meant that our pretend “perfect” family life would be exposed, but he never cared much about that –besides at this point my mother’s life depended on getting the help. My father had to continue working to provide for our family during the weeks my mother was gone in-patient, so us 4 children had to be split up since he was unable to stay at home to care for us. My sister and I were left with one set of grandparents, and I remember that they put us to bed by 7:00pm, before the sun yet went down. We would lay in our beds still wide-awake, but didn’t dare talk for fear of getting in trouble. So I would spend a long time lying there just thinking – knowing that life was not how it should be and wondering how it was all going to turn out. It was during those weeks away that my mother fought to get rid of the stronghold that the drugs had on her life. From my understanding, the doctors had to wean her slowly and let her actually take the drugs while in-patient for fear that if they cut them off cold turkey they thought she would die. She was also anorexic, suicidal, and suffered from severe depression so she had to deal with those issues as well. After a period of time, she was moved to a hospital closer to home, which was nice for my father to not have to drive so far to visit her. Sometimes, he would take my sister Sara and I along. During one of those visits, a specific memory hangs with me regarding when it was time to leave for back home. My younger sister and I were crying so hard, that my mother will tell you that even after the elevator door closed, she could hear us crying the several floors down, all the way to the lobby floor. As a parent now, I can’t even imagine how hard that was on both my mom and my dad. For my mom with having to stay behind, and my dad for having to deal with two heartbroken little girls, when he was dealing with his own feelings as well. There is another memory however, a good one, that also sticks out in my mind on those trips to visit my mom. We would take the back roads into the city, and those roads were so up and down it made our stomachs flip. As we were riding a literal rollercoaster of life, we would pretend we would be on a real rollercoaster ride on that stretch of road, and dad would temporarily join in on the fun. My mother did what she had to do and came out of treatment drug free with a little more meat on her bones and a better will to live. The days, months, years that followed still proved hard however. It is sad to say, and I almost dare not write it, but the truth is, going to church was the hardest thing for me. I still felt the judgment and I worried so much of what people were saying or thinking of our family. I especially HATED the Sundays that we had Communion. You see, in our church at that time, they served red wine. My mother with an addictive personality and just going through treatment, knew that she had to avoid any type of alcohol for fear of it putting her right back into the place that she just came out of. I knew that my parents tried many times talking with the Pastor and church council and asked if they could please just serve a little grape juice along with the wine, so my mother could partake, but for reasons beyond my understanding, they refused. So for years, every time we had Communion, my mother would let the tray pass her by and she would sit and cry. I truly hated being there during communion. It made me embarrassed, frustrated, but also very confused. I just didn’t understand. Everyone else sat there partaking of the very thing that allowed us to remember the sacrifice that Jesus did for OUR SINS, the death of his body on the cross, so that we no longer had to fear condemnation from our Heavenly Father. To a little girl at that time, it appeared to me that by the church not allowing one single swallow of grape juice to be placed in the tray for my mom, that they were saying her sin was not worth forgiving. I felt like it was their way of prolonging the shame and guilt, and I wondered if maybe some sins truly were unforgivable. Was this one of them? Do we really need to live perfect lives in order to be saved? Is it really all about the rules? When they say children are like sponges soaking everything in, I can definitely say that it was true for me. I have always been very socially aware. I watched and took in everything going on around me and most of the time was left with more questions than answers, but one thing I gathered, I better be a good girl or I might not be forgiven or get into heaven. I believe that same pressure boiled up inside of my mother as well. Looking back, I think that in my mom’s heart, she wanted us to be as “perfect” as possible while in public, so she could show the church and the people around us that despite her addictions she was a good mom after all. As I grew, I had a hunch that this thinking was not the way it was supposed to be. This led to feelings of further anger, frustrations, and confusions inside of me. I can say that I did not see eye-to-eye with my mother for many years after that, which led to a very rocky relationship between the two of us. Eventually over time, new friends joined my mom’s life and the church started to serve grape juice so I no longer needed to dread the Sundays when we remembered what Jesus did for us. I don’t feel that life necessarily got easier after all that as the dysfunctional thinking and lack of grace remained in our household. The struggles were real and relationships were strained. It wasn’t until many years later that my parents got the counseling they needed to deal with what I believe was the underlying issue to begin with. And it wasn’t until my early 20’s and moving down to another state and a new church, where I started to learn about grace and what it truly means. 1 Corinthians 10:11-13: These things happened to them as examples and were written down as warnings for us, on whom the fulfillment to the ages has come. So, if you think you are standing firm, be careful that you don’t fall! No temptation has seized you except what is common to man. And God is faithful; He will not let you be tempted beyond what you can bear. 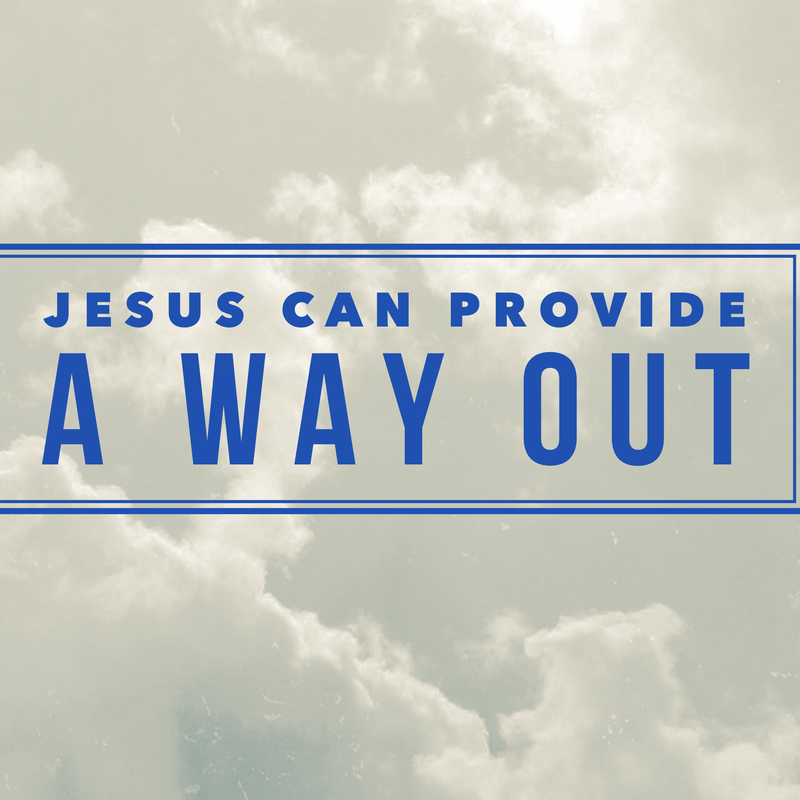 But when you are tempted, he will also provide a way out so that you can stand up under it. One of the biggest misinterpretations of the Bible that people use is this phrase: “God doesn’t give you more than you can handle.” I say that because almost always, when people refer to this phrase, they are talking about the circumstances and hardships in life. People – I fully believe that we ARE faced with situations and hardships beyond what we can bear! What Paul is referring to in this passage is talking specifically about the TEMPTATIONS that life brings. And guess what? Sinful desires and temptations affect every one of us, but God promises that when faced with those things, HE WILL GIVE YOU A WAY OUT. If we turn to Him during those times, pray for His help where we are weak, choose to do what is right, run away from the temptation, find friends to help and encourage us, we will be able to overcome the thing that has or wants to become a stronghold. One thing that I am so incredibly proud of with my mom, is that through it all, she turned to the Lord, did what was right, and never allowed that temptation of drugs or alcohol to have a stronghold of her life again. The Lord truly provided a way out for her and that was through Him alone. Today, she has been sober for almost 30 years. Ephesians 2:4-5: But because of His great love for us, God, who is rich in mercy, made us alive with Christ even when we were dead in transgressions – it is by grace you have been saved. Guess what? It truly is because of what Jesus did for us on the cross, taking the penalty of our sins and the power of those sins over us, that we are saved. By faith, we can come before our God, knowing and believing that even though we are dead in our sins, we are alive in Christ. It doesn’t matter what your past holds or what kind of mistakes you have made. It is by His LOVE, MERCY, and GRACE that we can have hope of eternal life. You do not have to let the past dictate who are you now. You do not have to try to live a perfect life! Or for what I think is even more damaging, pretend that you are! Like I mentioned earlier, for many years, I think we fell into that trap of believing we had to prove that our family had it all together, when the truth is, we didn’t. Over the years since going through treatment, my mother has been very open, and has given talks regarding her addictions and depression providing hope to those who will listen. Most recently, she has found herself mentoring a couple women who are dealing with the same issues she once found herself in. In just the past few years alone, I feel like I have seen a transformation in my parents’ lives that I am incredibly proud of. They are now living a grace-filled life. Last Easter, I saw my dad stand in front of his current church, letting the people know that he used to live knowing about Christ, but now he lives KNOWING CHRIST. That same Sunday, I saw my mom stand in front of the church, letting the people know that at one point she used to be addicted to drugs, but now she is ADDICTED TO CHRIST. And as for me? Well, turns out that God had his hand on my life (and my siblings!) this whole time as well. I was unable to live up to the perfect child persona, an expectation that I ultimately put upon myself, and made mistakes along the way. 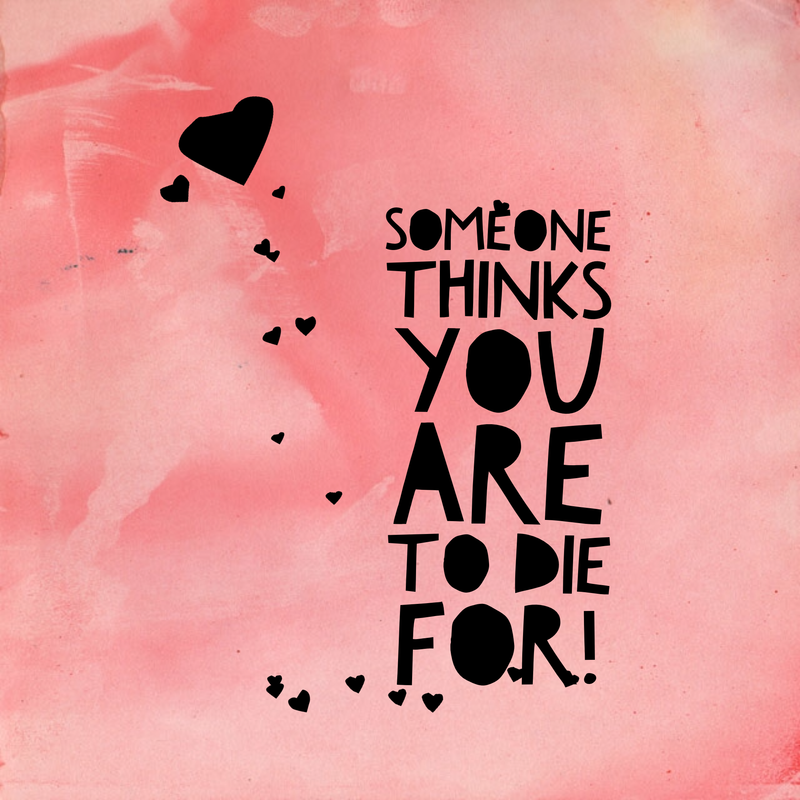 I guess that just proves that I am like every one else! I admit that I still struggle with placing unnecessary expectations upon myself; I am a people pleaser, and still very much worry about what people think about me. But I am thankful, that as an adult, God placed people and situations into my life to gradually show and teach me what grace truly is. He was preparing me for circumstances that were to come, and is still teaching me now with the areas that I struggle in. Despite the anger and resentment that I secretly held onto for along time regarding the church in general, the Lord has now taken those feelings away. For where I felt the church had brought additional pain and disappointment in this situation, the church is also the place I ultimately discovered healing. I now look forward to the Sundays that serve Communion, for I truly know that without the death of Jesus, I would have nothing. I have come to choose and believe that at the time, they, along with my parents, did the best that they knew and thought what was right. Despite the rocky relationships that my mother and I had over those several years, I know that we never fully stopped loving each other. Today, our relationship has greatly improved and she has turned out to be an amazing grandma to all of her grandchildren, loving and treating them (and us) in a very Christ like way. I don’t want you to think that we no longer have our struggles in life, but we now know Who and where we can turn to for that help and hope. We admit we are still a work in progress, but that is OK. We no longer have to pretend – we let that go a long time ago. Which I think is why I dare to write about these stories today. If you find yourself with temptations that have a hold on you, I want you to know there is hope and there is a way out. Look to Jesus. He is the only way and can provide for you just what you need. Nothing you have done can turn his love away from you; after all he died for YOU. Turn to Him, not only for yourself, but also for your spouse, children, and those in your life that love you. I love you mom and dad! I am incredibly proud of you for what you have overcome through the power of Jesus Christ, and that you are now choosing to live lives of grace! My name is Rachel and I am the daughter of a grace redeemed drug addict. And as your daughter, thank you mom for not allowing the stronghold of drugs and alcohol to overtake you again. Thank you Jesus for providing a way out.